Penn Station currently sits on a two-block site in Midtown Manhattan bounded by 33rd Street on the north, 31st Street on the south, Seventh Avenue on the east, and Eighth Avenue on the west. For the purposes of this project, the site also includes the block immediately to the south of Penn Station, which has been slated to be demolished as part of the Gateway project that will add two new passenger rail tunnels under the Hudson River and eight additional tracks at Penn Station.1 The site is rectangular, and measures roughly 800 feet in the east-west direction by 700 feet in the north-south direction, with almost no change in elevation from one side to another. West of the site, the topography begins to gently slope downward toward the Hudson River, located approximately 1/2 mile to the west. Although the site fits within the Manhattan street grid, West 32nd Street terminates across from the main entrance to Penn Station, and Penn Station’s southward expansion will require a block-long portion of West 31st Street to be de-mapped as well. The site, like the rest of the Manhattan street grid, doesn’t follow a true north-south orientation, but is shifted approximately 29 degrees to follow the geography of the island. As such, the northern side of the side actually faces roughly north-northeast, and the southern side of the site faces roughly south-southwest. New York City is at the northern edge of a humid subtropical climate zone, near the transition to a humid continental climate zone.2 Temperatures range from daytime highs in the mid-30s Fahrenheit during winter months to mid-80s during the summer months, to nighttime lows of the upper 20s in winter to low 70s in summer. However, extreme temperatures can range from below 0°F in winter to over 100°F in summer with high humidity at all times of the year (fig. 2.3). 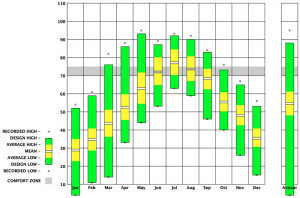 Wind velocity is relatively consistent throughout the year at roughly 5-20 MPH,3 although wind speeds in excess of 75 MPH have been experienced in connection to severe weather events such as during Hurricane Sandy in 2012.4 Precipitation totals remain relatively consistent throughout the year, with annual rainfall totals of 49.7 inches,5 again with higher amounts during extreme weather events. 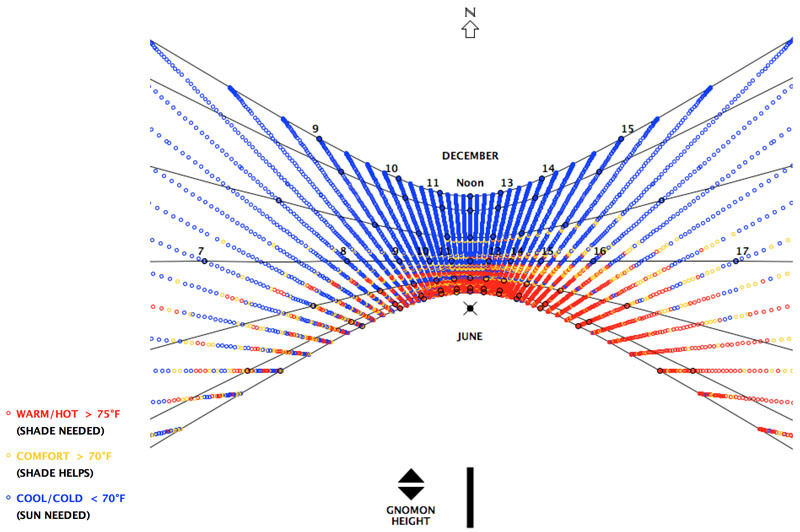 The maximum solar altitude angle ranges from 25.8° at winter solstice to 72.68° at summer solstice,7 although direct sunlight in Manhattan is often blocked by taller structures nearby. 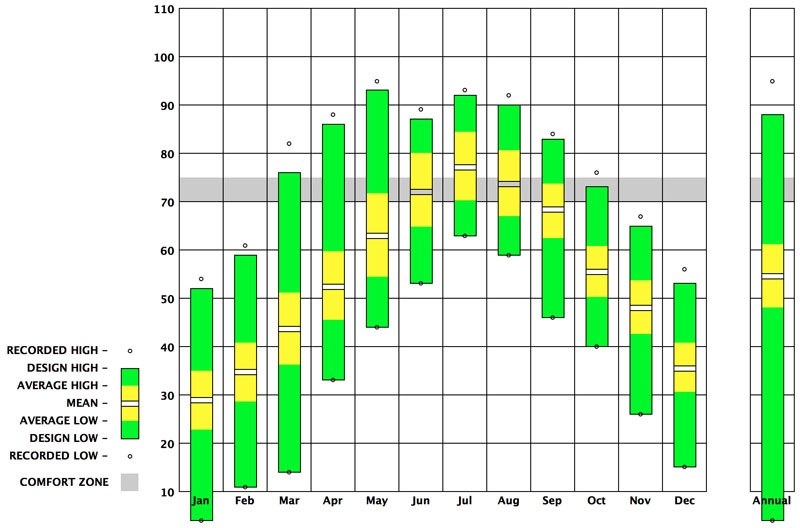 Cloud cover is relatively consistent throughout the year, ranging from 20% to 90%.8 A common complaint about the current Penn Station is the lack of natural daylight and outside views. 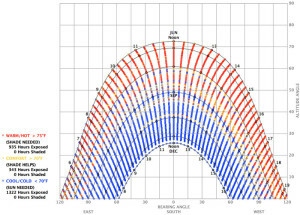 However, daylight will need to be carefully managed in order to prevent glare and overheating due to solar gain. 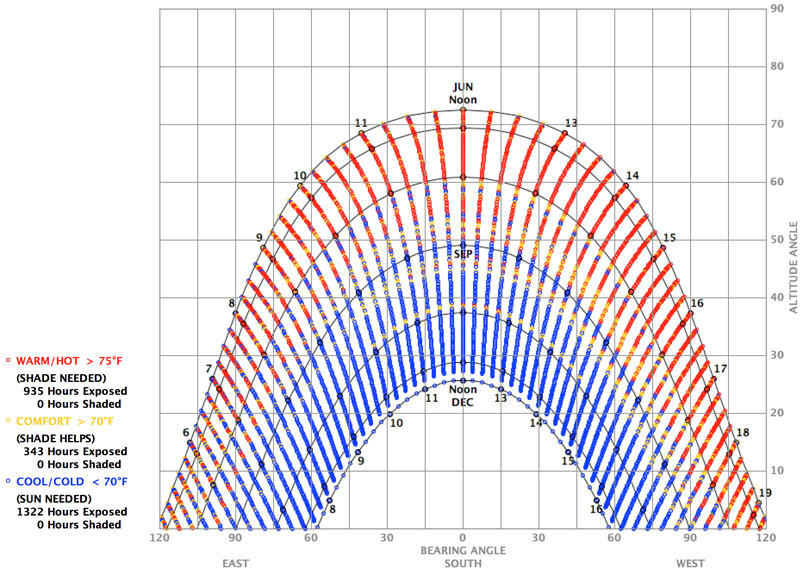 Of particular concern for Penn Station is the internal heat gain generated by trains in the station. Although the trains serving Penn Station are all-electric and generate no diesel exhaust fumes, tremendous amounts of heat are generated by the trains’ electrical and HVAC components such as resistor grids and air conditioning units. Normally this heat is dissipated to the outside environment while the trains are outdoors, but can quickly build up within an enclosed space. For example, some New York subway platforms routinely reach temperatures exceeding 100°F during summer months even when the outside temperature is relatively mild,9 and the passenger areas of the existing Penn Station are often uncomfortably warm and stuffy at all times of the year. This excess heat could potentially be harnessed during cold weather to help heat the station, but will need to be effectively removed from the station during warmer weather in order to maintain a comfortable indoor environment. Penn Station and the two rail tunnels under the Hudson River have long been a choke point on the busy Northeast Corridor. Most of the Northeast Corridor between Washington, DC and New Haven, Connecticut is at least four tracks wide, allowing faster regional and high-speed trains on the inner tracks to bypass local station stops and slower commuter trains on the outer tracks. Between Newark, New Jersey and Manhattan, however, the corridor is reduced to two tracks as it crosses the Meadowlands and the Hudson River. The Gateway Project proposes to eliminate this bottleneck by building two additional tracks from Newark to Penn Station, including two additional tunnels under the Hudson River, and expanding Penn Station one block south to accommodate seven additional tracks and four additional platforms. This will require the condemnation of the entire city block south of Penn Station.11 Preliminary engineering and environmental impact studies for the Gateway Project have begun, but no designs have been finalized for the new expansion of Penn Station. 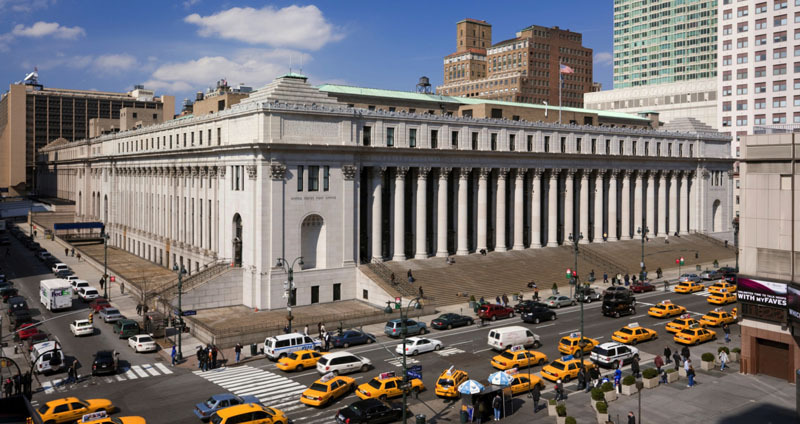 Immediately to the west of the site is the neoclassical Farley Post Office, designed by McKim, Mead & White to be a companion to the original Penn Station. 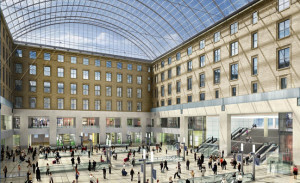 Sitting above the tracks and platforms that feed into Penn Station from New Jersey and largely vacated by the US Postal Service, the Farley Post Office is in the process of being converted into a new Amtrak concourse that will include Amtrak’s ticketing and baggage facilities, an Acela Lounge, and waiting areas for long-distance and regional travelers. This will free up space within Penn Station itself and allow Penn Station to be used exclusively by commuters. Although named Moynihan Station after the late senator who championed the project, it isn’t so much a separate station as it is an additional concourse within the Penn Station complex. SHoP Architects, in their Gotham Gateway proposal to the Municipal Art Society, proposed that Moynihan Station be used for advance check-in and security screening for passengers destined for airports via express trains.12 While technically feasible, this would limit the airport rail service to ticketed airline travelers only, and not airport employees or others who have reason to travel to the airport. 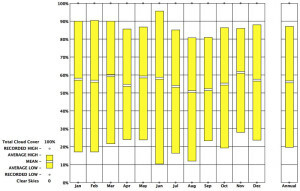 It also poses logistical problems at the airports: How do express train passengers who have checked their luggage and gone through security screening at Moynihan Station get from the rail terminal at the airport to their gate (which can be located at any one of JFK Airport’s six terminals, Newark Airport’s three terminals, or LaGuardia’s two terminals — each with its own security checkpoints) without leaving the secured zone and having to re-enter through airport security? And what of their checked baggage? In light of these issues, it seems that the best use of the Moynihan Station is for Amtrak ticketing and services, as currently planned. Any potential express rail service to the airports would use the same facilities at Penn Station as the other commuter rail services, and with check-in and security screening taking place at the airport terminals. This would be similar to the airport express services offered in London, such as the Heathrow Express rail service from Paddington Station and the Gatwick Express service from Victoria Station. Fig. 2.11: Existing morning rush hour peak pedestrian volumes at Penn Station. 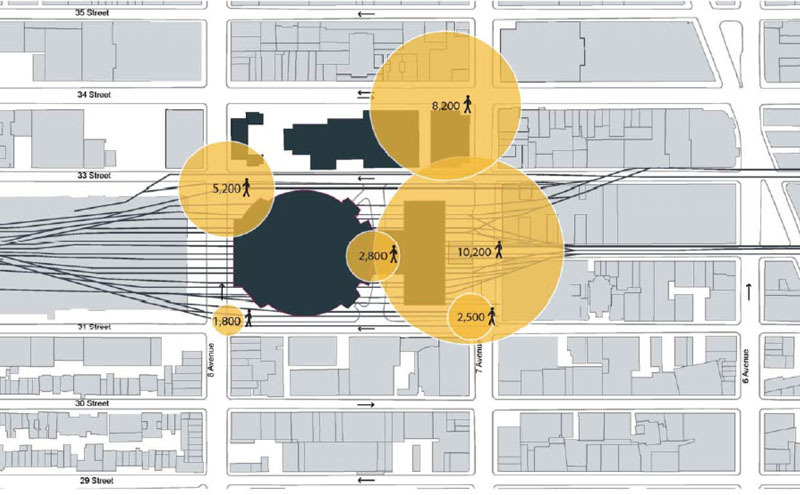 With the development of Hudson Yards and a new Madison Square Garden to the west, pedestrian volumes entering the station from the southwest are certain to greatly increase. Fig. 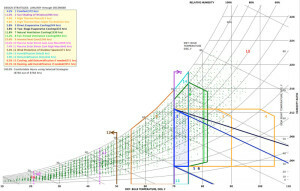 2.12: Section diagrams illustrating SHoP’s proposed transfer of commercial floor area from the Penn Station site to perimeter sites, creating an “urban bowl” to allow sunlight to reach the new Penn Station and Gateway Park. 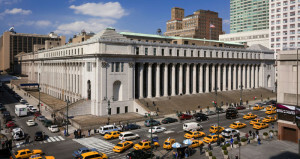 The proposed Moynihan Station will only occupy roughly the eastern half of the Farley Post Office building, with entrances at the northeast and southeastern corners along Eighth Avenue, on either side of the grand staircase leading to the post office lobby (which will remain in use by the Postal Service). The fate of the western half of the building remains undetermined as of this writing; one proposal would have built a new Madison Square Garden within the shell of the structure.13 Another scheme has proposed relocating the Borough of Manhattan Community College to the building, which would free up BMCC’s current campus in lower Manhattan for high-rise development.14 The current proposal by HOK Architects shows this area occupied by retail space (fig. 2.10). 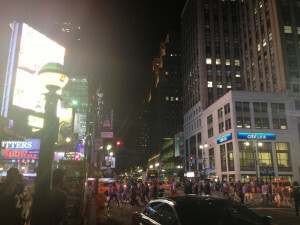 One block to the north of Penn Station is West 34th Street, a busy crosstown street and major artery that is often packed with commuters and tourists. 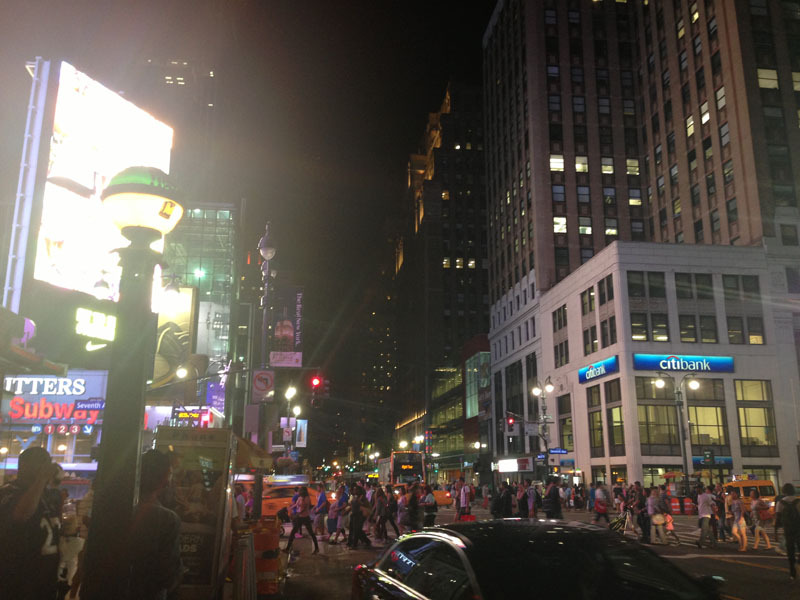 One block east of Penn Station, at the intersection of 34th Street, Broadway, and Sixth Avenue, is Herald Square, home to the Macy’s flagship store and a major transit hub serving the B, D, F, M, N, Q, and R subway lines and the PATH subway to New Jersey. An underground passage known as the Gimbels Passageway formerly provided a protected pathway between Penn Station and Herald Square, but was closed in the early 1980s due to crime concerns.15 As such, large amounts of pedestrian traffic approach the site from the northeast via 34th Street and Seventh Avenue (fig. 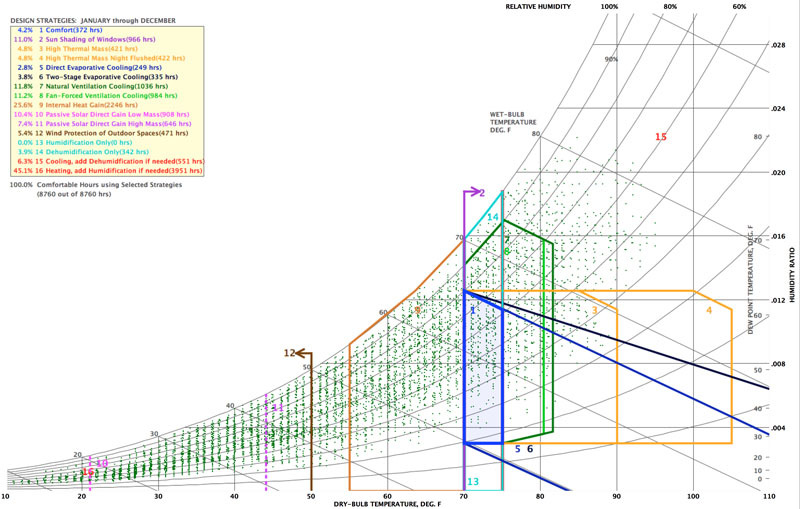 2.13). The Hudson Yards Redevelopment Project is the result of the re-zoning of 60 city blocks on Manhattan’s far west side for high-density development, including the air rights above the Long Island Rail Road yard three blocks west of Penn Station. Components of Hudson Yards include 25.8 million square feet of new office space, 20,000 new housing units, as well as shopping, hotels, and public amenities.16 The 7 subway line is being extended south and west from Times Square to serve this new development, but it is anticipated that Hudson Yards will also bring a large influx of new commuters to Penn Station from the west. Hudson Yards sits at the north end of the High Line, a mile-long linear park located on the elevated right-of-way of a former spur of the New York Central Railroad. Designed by Diller Scofidio + Renfro, the High Line has been met with critical acclaim and has attracted a significant amount of development to the area. 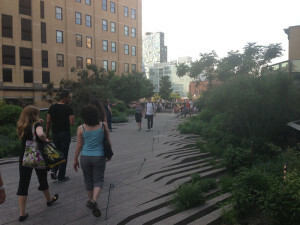 The High Line will ultimately connect to Hudson Yards, and there is the potential for connections to the new Madison Square Garden and Penn Station. In addition to the Farley Post Office, the US Postal Service owns and operates the Morgan Processing and Distribution Center, which occupies a two-block site west of Penn Station and south of 31st Street. The Postal Service has expressed interest in vacating the facility and selling the property, which would open the site up for large-scale development. 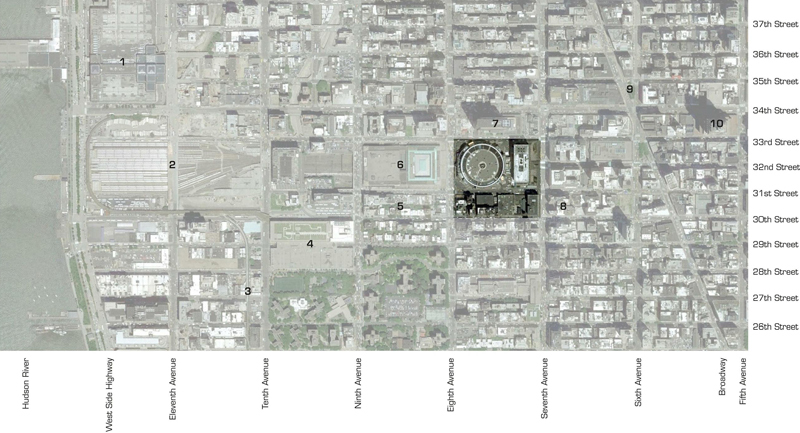 SHoP Architects, in their proposal to the Municipal Art Society, has proposed this site as the location for a new Madison Square Garden and high-rise development, with a raised pedestrian plaza that connects to the High Line (fig. 2.14). Immediately to the east of the site and south of the Farley Post Office, SHoP proposes a new Gateway Park on a block that will be condemned as part of the Gateway project. 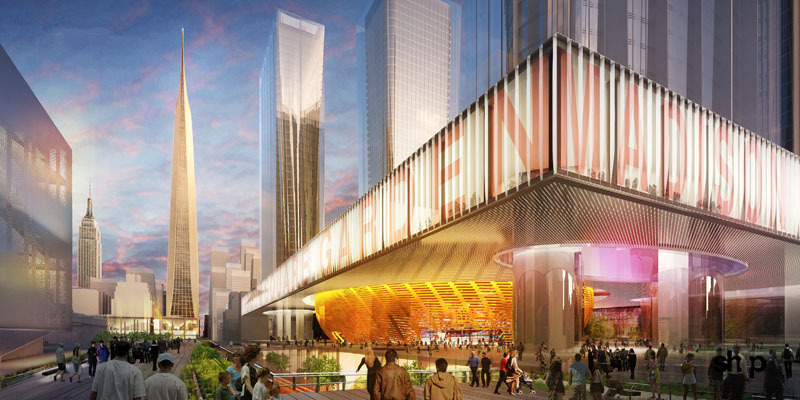 The park would occupy the air rights above new tracks and platforms serving the southern extension of Penn Station, and provide a transition from street level to the new Madison Square Garden plaza level and the High Line. Fig. 2.14: Site plan of SHoP’s Gotham Gateway proposal. Hudson Yards and the High Line extension are shown at far left. A new Madison Square Garden, Moynihan Station, Gateway Park, and the new Penn Station are in center. Gotham Tower and additional development are shown at right. In the Municipal Art Society presentation, SHoP Architects proposes that the new Penn Station and its neighboring buildings form an implied “bowl”, with Penn Station being a relatively low building, and building heights increasing as they are located further away from the station. (A notable exception is the proposed Gotham Tower at the corner of Seventh Avenue and 30th Street, directly across from Penn Station, which would be the tallest building in the city.) This strategy would maximize the amount of daylight reaching Penn Station and Gateway Park, while allowing high-rise development in peripheral areas to maximize development potential and help fund construction of the new station. 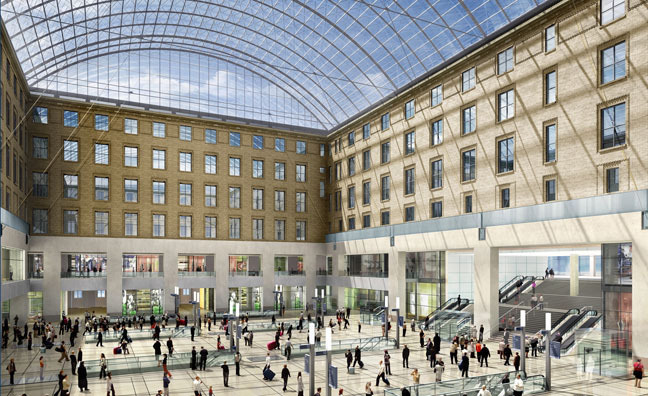 In addition to following the above massing strategy proposed by SHoP, a new Penn Station should compliment the Farley Post Office in terms of massing, materials, and views from within the station. The grand steps in front of the Farley Post Office building serve as a popular place for brown bag lunches and people-watching, and the possibility of some form of terraced seating inside the station, as an implied continuation of the Farley steps, should be explored. Views of the Farley Post Office from within the station can also serve as an important point of reference for wayfinding purposes. Given that the bulk of pedestrian circulation will be approaching Penn Station from Herald Square to the northeast and from Hudson Yards and a new Madison Square Garden to the southwest, the primary entrances to the station and circulation paths within the station should be oriented toward these directions, while still allowing for secondary entrances and pathways throughout the station. The street frontages along 33rd Street and 30th Street should, to the maximum extent feasible, be activated with street-level retail. The underground portion of the station should include an enclosed passageway to the subway and PATH station at Herald Square to replace the closed Gimbels Pasage. The current facility is divided into different three distinct zones, one each for Amtrak, NJ Transit, and Long Island Rail Road. Each zone has its own design, branding, signage, and identity; in effect, Penn Station currently functions as three interconnected but badly-integrated train stations that happen to utilize the same tracks and platforms. 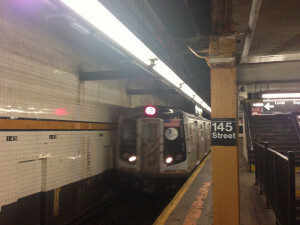 The new Moynihan Station will add a fourth. The new station must effectively incorporate current and proposed expansion schemes such as the Moynihan Station and Gateway Project in a manner that eliminates these “fiefdoms” in favor of a cohesive, integrated whole. Approaching Penn Station via surface streets from Herald Square along 34th Street, one makes use of busy sidewalks that are often mobbed with tourists, shoppers, panhandlers, street vendors, and cross traffic. There is little or no distinction between approach and threshold, and “arrival” at Penn Station simply means finding your way to one of the station’s entrances. The approach and arrival sequence to Penn Station from the west, including from the High Line, Hudson Yards, and the current site of the Morgan Sorting Facility, is still in the process of being defined. Like much of Midtown West, it is poised to undergo dramatic transformation from an under-utilized light industrial area to a busy neighborhood containing high-rise residential and commercial development, and upscale retail. According to the Gotham Gateway scheme by SHoP Architects, people approaching Penn Station from the west will pass by or through an extended High Line, a new Madison Square Garden, a new Gateway Park, and a redeveloped Farley Post Office building. Approaching Penn Station via the subway involves entering the system — usually, but not always, underground — at any one of hundreds of stations throughout the city, waiting for a train, possibly making one or more transfers to other lines, and disembarking at one of the two subway stations directly adjacent to Penn Station. The connection is also underground, so “arrival” at the current Penn Station via subway involves little more than moving from one underground concourse to another. A new Penn Station will have to effectively respond to a wide variety of site conditions, both natural and built, and some of which may be seemingly contradictory. Simply providing a hole in the sidewalk with a few escalators (more or less the strategy of the current facility) will not be sufficient. Natural sunlight and views to the outside must be maximized, but in a manner that doesnít result in excessive glare or solar heat gain. Effective climate control is critical, especially in the removal of heat generated by trains within the station. The site’s history and context — particularly the original Penn Station and the Farley Post Office — should be acknowledged and respected in the design of the new station, while resisting the knee-jerk temptation to simply replicate what has been lost. Circulation — within the station and between the station and the city outside — is of paramount concern. As a transportation facility, its fundamental purpose is to provide an effective means of circulation. 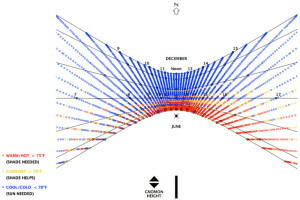 Circulation patterns must be intuitive and responsive to site conditions. Above all else, the new station must be a good neighbor, one that is both monumental and deferential. The act of arriving in Manhattan deserves a monumental entrance; the site demands a facility that adds to the vitality of the neighborhood rather than detracting from it. Toward these ends, this thesis proposes to adopt, with some modifications, the site strategy outlined by SHoP Architects in their proposal to the Municipal Art Society and use it as a master plan for further development of the design for a new Penn Station. Paul Goldberger, “Louis I. Kahn Dies; Architect was 73,” 20 March 1974, The New York Times, p 1.